Adult length 3.5 to 4 mm. Lauritrioza alacris has long, sharply pointed wings, the outermost vein is short and curved, and only the last two antennal segments are dark. Its colouring varies dramatically with age, the dorsal surfaces darkening to black, with slightly paler longitudinal and transverse lines. 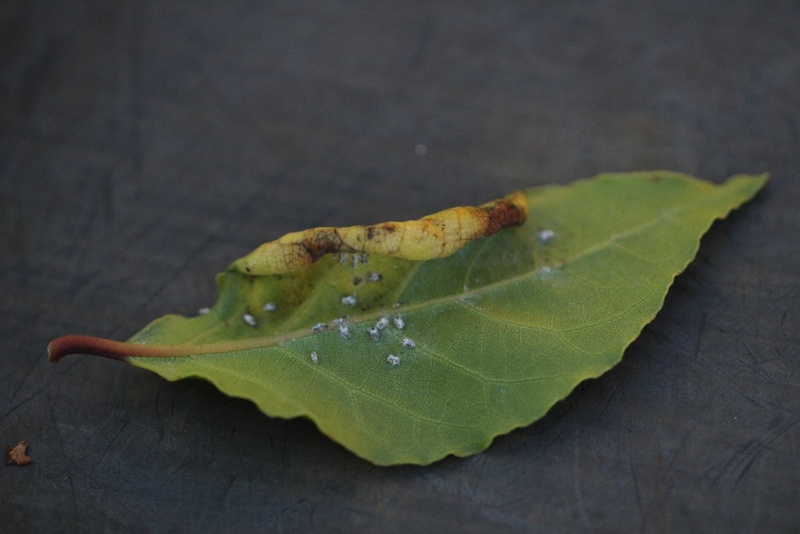 The pink-yellow nymphs form leaf-roll galls on Bay leaves, in which they produce thick waxy secretions. The galls are seen more often than the adults. 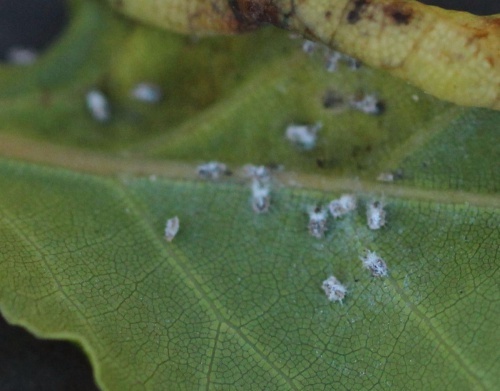 Found on Bay trees - no other psyllid is likely to be found on Bay. 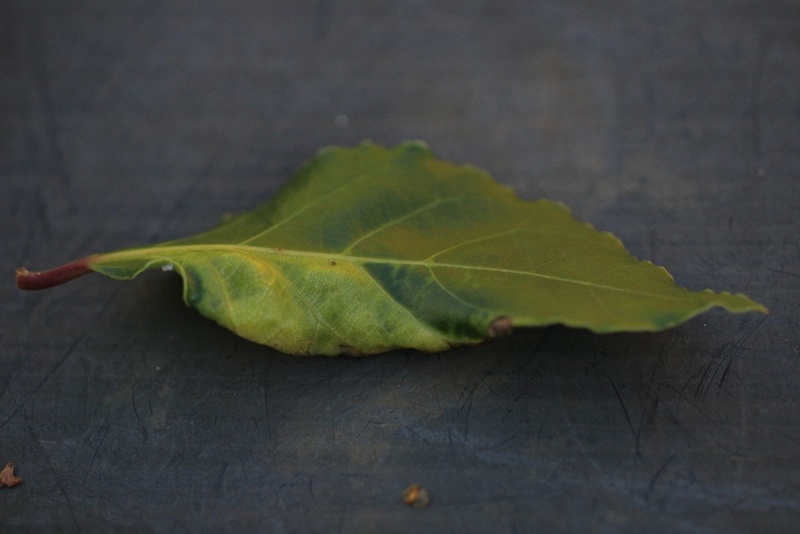 This long-introduced species is naturalised on Bay (Laurus nobilis) across at least England, and can be very abundant.